Eipix continues its ground-breaking Myths of the World series with a heart-pounding, fire-breathing adventure! It was just supposed to be a routine mission. Fly in, drop supplies, and fly out. But when a dragon attacks your plane, crash-landing in a lush valley, you're drawn into the adventure of a lifetime! This ancient valley is filled with living, breathing dragons - guardians of nature who protect the weak. But when one of their own becomes possessed by their ultimate foe, it's up to you to restore order. Can you defeat the Dragon King's mighty terracotta army, or will the world be destroyed once more, just like it was centuries ago? 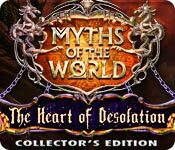 Myths of the World: The Heart of Desolation Collector's Edition is rated 4.2 out of 5 by 65. Rated 5 out of 5 by KHeinzi from Beautiful game! Loving it, especially the new kind of HO scenes. Beautifully made game. Rated 5 out of 5 by Heather_G from Beautiful, challenging, long game. I won't restate what other reviewers have already posted, except to say that I found the morphing objects very hard to find! When considering whether or not to buy the CE, I mostly want more story and game time in a good bonus chapter. Unfortunately, most reviewers don't comment on that particular extra. This bonus story stood on its own and was not necessary to the SE ending. It had some new areas and characters but was quite short. Less than an hour for me with no skips. Unless you're really into collectables, morphs, and wallpaper, I would choose the SE. Rated 5 out of 5 by tutortime from Excellent Game! This game has everything you would want in a game, interesting story, long, great mini games, extra objects to find, morphing objects to locate and much more. The CC edition had many new scenes so it was worth the extra money. Rated 5 out of 5 by chezmah from Totally Enjoyable ... A GREAT game Wonderful game ! 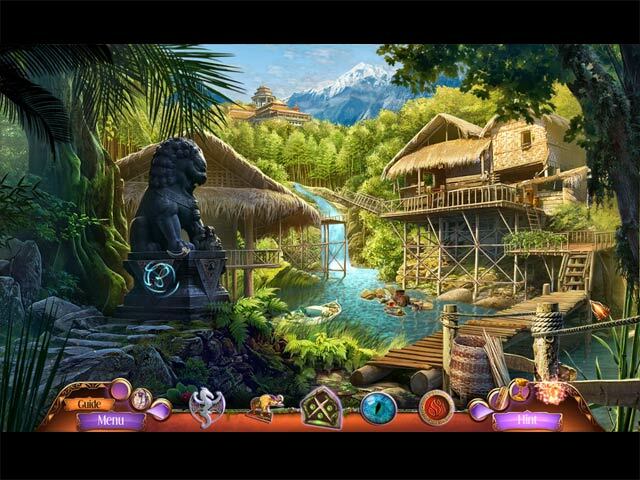 Very enjoyable to play... just what i like, relaxing and just enough challenge to keep you involved in the adventure. The Art work was Excellent, the music soothing and varied. Lots of colorful and detailed scenes. The characters were lifelike as were the voice overs. Puzzles were interesting and HOGs were well thought out, and choc full of variety and color. If you want to spend some relaxing time in a lovely environment in the pursuit of discovery, this is the perfect game. Although it is not the best game i ever played, it certainly was fun to play. I recommend this game ! Rated 5 out of 5 by PirateGirl212 from Fantastic Game! This is the 5th game in the Myths of the World series and it was wonderful. Great storyline, Hops and Puzzles I enjoyed very second of this game! Rated 5 out of 5 by mrm2006 from The Tale of the Five Dragons Based on both the SE and CE Demos. The storyline for this addition to the "Myths" series is very unique. It grabbed my interest from the very beginning when the narrator says "Only the greatest myths last through the ages. This myth is from an ancient land and forged in fire". The graphics are so very well done. The colors are spot on and there was no over-use of the colored crayons. The music was very oriental ... fluid and melodic. I enjoyed listening to it during the demo. The voice overs were also extremely well done. Although I wonder why MY character never really spoke. Lots of reading here. There are 4 levels of difficulty: Casual, Expert, Insane and Custom (where you can change many gaming options). You can choose how much of a tutorial you want - none, fully or specific to new items in the game. There is no journal but the map LOOKS like a journal. I found this to be very annoying because when I clicked on it, it literally FLEW up into the air and opened with rippling sheets!! i truly thought it WAS a journal with a map inside. Nope. The map shows where you are and where objectives need to be finished. You CANNOT go back to an area unless a new objective is there. It shows only one objective at a time .... which I think is too much handholding. No thought required. You also have a golden heart which recharges when you play a DIFFERENT type of mini game .... NOT the regular mini games. The "hint" button is a stargazer lily. I HAVE to mention that because it's one of my fav flowers so ..... really ..... this game had me at the "hint" button. LOLOLOL!!!!! 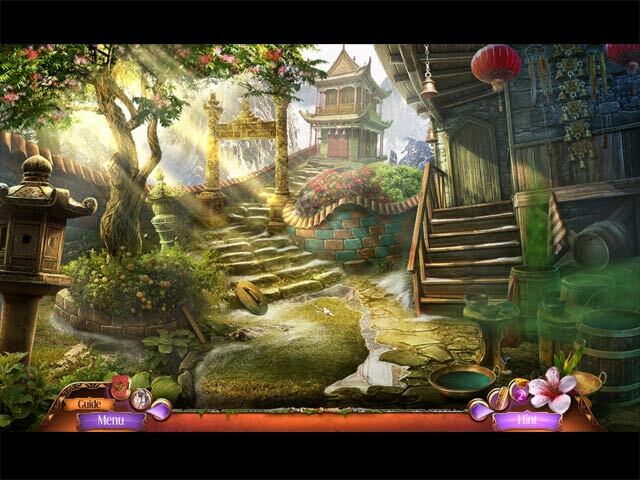 The HOGS (hidden object games) were fun interactive lists and silhouettes. There is an alternate Mahjong game if you prefer that. In the CE version, the Morphing Objects are found in the HOGs. The Mini Games - OM!Gosh!!!! and WOWOWOW!!!!! Talk about new .... innovative ..... fresh ideas! They run the gamut of nice and easy to time and patience (of which I have none - lol). CE Bling: The CE extras were hard to get a handle on because everything "is unlocked after the main game" or "Bonus game" "is completed". The usual fare of wallpapers, music, strategy guide, etc., etc. In addition: * Souvenir Room - unlocks after you finish the Main Game. * 42 Collectible Bamboo Strips - NOT easily found. There is a tiny bamboo strip near the "hint" button. When you find the bamboo strip in the area you are playing, it lights up. * Golden Heart puzzles - unlocks after you finish the Main Game. * 17 Morphing Objects - found in the HOGs. When you find one of these a banner comes down from the top of the page and lets you know it's been found. Anytime there are collectibles and morphing objects I will lean towards purchasing the CE. Add a great storyline and I lean MORE towards that purchase. Add dragons and a stargazer lily "hint' button ..... and there's just no hope for me. I am off to purchase the game. It is so very entertaining and, while there is a lot to do in each area, everything you do is very game specific so you don't get lost in the "doing" and miss the story completely. I recommend this for all levels of difficulty. It's truly an entertaining game all around with lots of CE extras. Enjoy! Rated 5 out of 5 by SkyeGray from I love the whole series because.. .. the games are beautiful (which counts for a lot), ambient and innovative. I can't stand ugly asylums, cockroaches, photo-realistic hidden object scenes - and Myths of the World games have none of these repellent features. 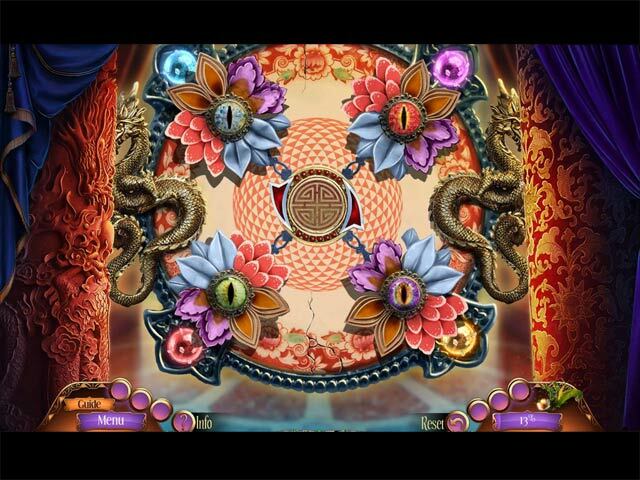 They are always gorgeous, with idiosyncratic story lines and unusual mini-games. Waiting for the next one! Rated 5 out of 5 by Geollyn from Wow - Impressive This is the first game I played in the series and I was absolutely addicted. The story line was ok, honestly 1/2 the time I skipped the intermittent scenes. After so many games it becomes the same, gain items to defeat the bad guy and save the world. What I loved about this game: Graphics - they were really good and made you feel as if you really were in the Orient. Most puzzles were difficult to nearly impossible. I like a good challenge. I normally do not buy CE games because I find it difficult to find the hidden objects or morphing ones. Except for missing morph objects in HOS, most of the items I found. I actually look forward to finishing and then replaying so I find all the objects. I highly recommend this game for people who love adventure games. Rated 5 out of 5 by chrissy39 from A GREAT GAME!! I loved everything about the game: the gorgeous Chinese landscapes, the mountains, puzzles and storyline! A 6 star rating!!! It was supposed to be a routine mission. But when a dragon attacks your plane, crash-landing in a lush valley, you're drawn into the adventure of a lifetime!